Hey everyone! 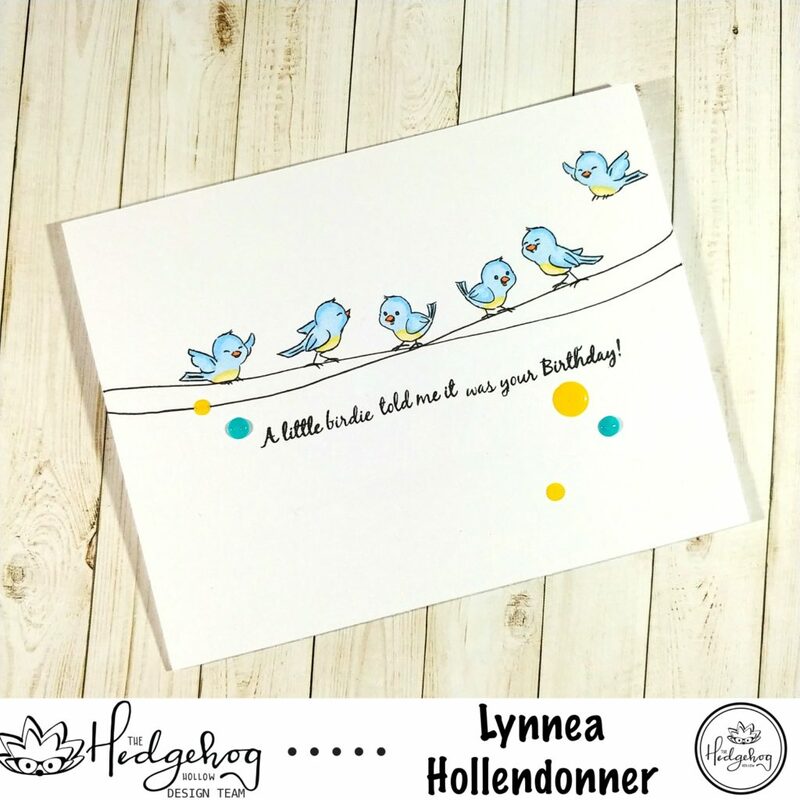 I never get tired of seeing little birdies on a wire, so I used the Birdhouse Cubby stamp set from Art Impressions in the April 2019 box from The Hedgehog Hollow to create a simple one layer card! This card was really so simple to create! 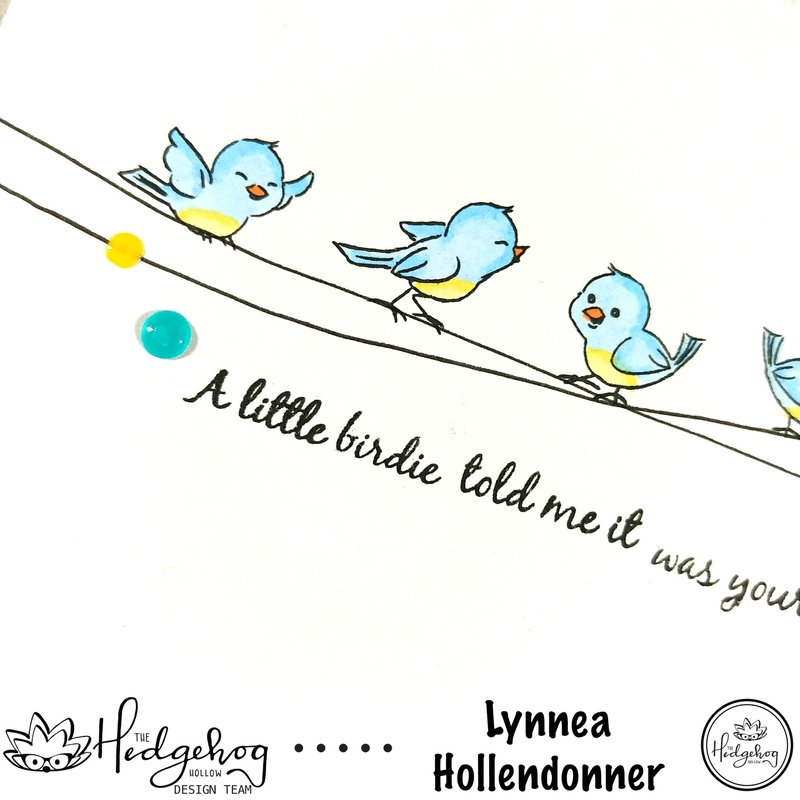 And you can color the birdies any color you want! I started by using a Copic Multiliner pen to draw two wires going across the length of my card. Then I used the Nuvo Hybrid Black Shadow ink pad included in the April 2019 box to stamp the six birds from the Birdhouse Cubby stamp set from Art Impressions. The sentiment is super cute, but it was stacked and it didn’t really fit with the composition of my card, so I used some masking tape and masked off the different parts of my sentiment so that I could stamp it on a single line. There’s more info on that in my video below! It didn’t turn out perfectly, but I love it anyway! I colored my birds with my Spectrum Noir Triblend markers and gave them little yellow bellies with light blue bodies. I decided to add a few Nuvo Crystal drops to finish off my card! Check out the video below!